This week’s Carnival of Space is an abundant source of space goodness this week with no less than 18 great articles! There is so much to read about. Let’s get to it. First up is a Spanish story about a soon to be supernova found by Hubble. 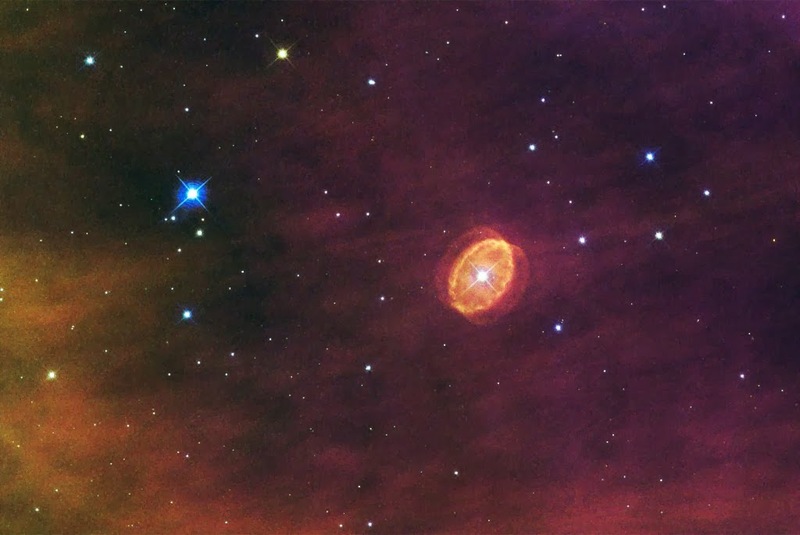 Using the Hubble Space Telescope, it has been discovered a star that will be a supernova in the future. It name is SBW1. The article speaks about it and the supernovae. The article is written in spanish. Astroswanny checks in on the progress of comet C/2013 A1 Siding Spring, and finds it sporting a nice little tail at Mag 14-15. Comet Siding Spring was the first comet discovered in 2013. The first Asteroid discovered in 2014 also made the headlines. A pair of articles from Universe Today have a diverse set of offerings. One post covers an unusual stellar group while the second looks at NASA’s ISS extension. If you’re looking for something truly unique, then check out the cosmic menage aux trois ferreted out by a team of international astronomers using the Green Bank Telescope (GBT). This unusual group located in the constellation of Taurus includes a pulsar which is orbited by a pair of white dwarf stars. It’s the first time researchers have identified a triple star system containing a pulsar and the team has already employed the clock-like precision of the pulsar’s beat to observe the effects of gravitational interactions. NASA announced today that the Obama administration has approved NASA’s request for an extension of operations for the International Space Station for an additional four years to 2024. This means work on board the orbiting laboratory will continue at least for another decade. Next Big Future provides the cosmic (comic) relief this week with a great article about some political encounters. It all sounds completely alien to me. On a more serious note, NBF completes a quintet of articles covering advancements from Orbital, Golden Spike and SpaceX. There has not been enough comedic material coming from the Crack Smoking mayor of Toronto Rob Ford in the last few days. So former Canadian politician Paul Hellyer is picking up the slack. It is also still being broadcast from Toronto. Former Canadian Defence minister Paul Hellyer went on television and declared that not only do aliens exist but that they walk amongst us and are responsible for some of our modern technology. Among these tech gifts are the microchip, LED light and Kevlar vest. Hellyer, who served as Canada’s Minister of National Defence in the 1960s, went on Russia Today’s program SophieCo to speak more about extraterrestrials. Hellyer’s claim that we don’t have more alien technology because we treat each other poorly. Hellyer claims that there are about 80 alien species with representatives on Earth. Orbital Sciences successfully launched a resupply mission to the space station on Jan 9. 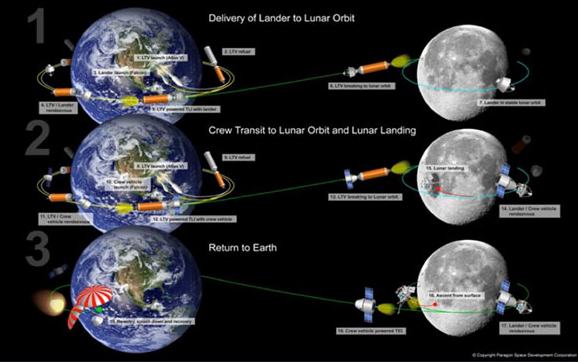 Golden spike has details mission plans and cost estimates for returning to the moon using existing technology for about $6.4 billinon to replicate the Apollo 11 mission and $1.5 billion for the equivalent of each of the Apollo 12, 14, 15, 16, 17 missions. And the specials at the Carnival just keep coming. This article details the power of black holes. Get it while it’s hot! 2-for-1 blog special! Peter Maksym and Davide Donato talk about evidence for a black hole ripping a star apart in a dwarf galaxy. 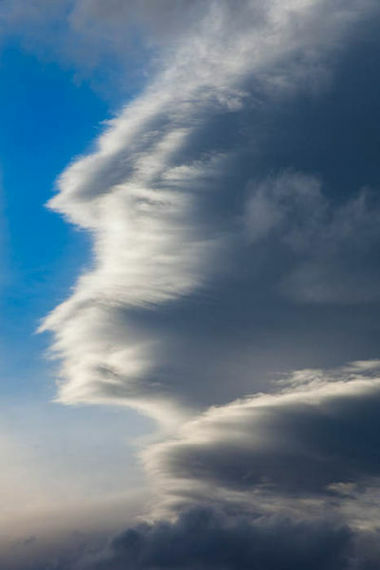 This next article covers a bit of innerspace and how we humans see patterns. The phenomenon where our brains find seemingly significant patterns in images or sounds. Could there be more than one Earth in the cosmos? Scientists may be closer to finding out. As we draw near to the close of the Carnival, Urban Astronomer has a pair of great articles for us. The Dark Enrgy Survey, a project to map out the universe’s ancient structure in unprecedented detail to provide clues to the nature of Dark Energy, was recently launched. Astronomers recently discovered another mystery: why do bipolar planetary nebula within the Milky Way’s galactic bulge tend to align along the same axis? After a bit of a dry spell, sunspots are back in the news. This article take a close look at the latest one. Sunspot AR 1944 is the largest sunspot to grace the face of the Sun for some time, it was visible without telescopic magnification. This post presents a portrait of the changing face of AR 1944 using simple amateur equipment. Finally we have a pair of articles from our very own Steve Shurtleff at Photos To Space. What does the consumer side of space look like once we have established a commercial presence in space? We take a look back at the year 2013 for Photos To Space and what that means for the future. That’s it for the Carnival this week. We hope you enjoy the variety of reading materials from around the globe. Remember the Carnival of Space runs weekly. Tune in next week for another dose of Space based goodness. Vardhan, it would be our pleasure to do an article on black holes! Keep watching photostospace.com and our Facebook page (www.facebook.com/photostospace)!